When I talk about my blog in relation to my life, I always say something is in my “blog life” versus my “real life”. I don’t do this intentionally, it’s just that it isn’t very often that these two worlds cross paths. Last Saturday I had the rare opportunity to have these two worlds come together and it was weird. Fun, and awesome, and weird. As I mentioned Friday, I was asked (along with Beth from Free Stylin’) to help celebrate the Grand Opening of the Kirkland’s store in the Austin area. It was so fun to get to be a part of an event! They had a preview party the night before and several of my local blog friends came. We also got to each bring a guest to the preview party Friday night, so I brought my (very pregnant) sister (I bet you can’t guess which girl is my sister in the photo below! lol We look like twins). 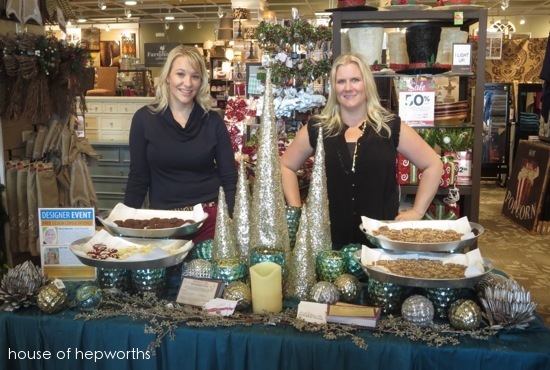 Kirkland’s asked Beth and I if we would each bring a favorite holiday treat to the event on Saturday so on Friday we set up a tablescape with room for our treats. I think it turned out really nice! Good thing Beth is a pro at tablescapes. Here we are on Saturday during the event. Beth made 3 Ingredient Cookies and I made some Chocolate Bar Toffee that I will share with you guys later this week. Kirkland’s went all-out for Beth and I. They made some tags for us to “tag” our favorite things around the store. Kirkland’s also printed out these flyers and placed them around the store. 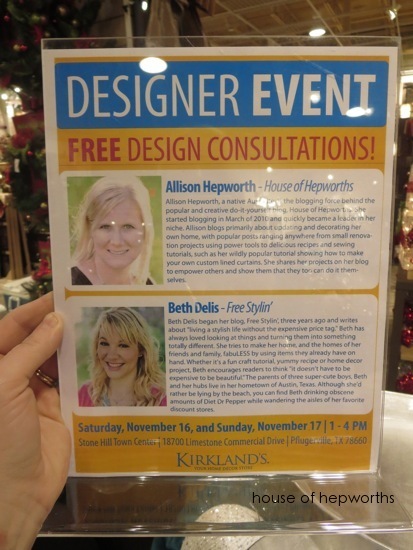 I laughed out loud when I read “Free Design Consultations!” because I certainly am not a professional designer. I do enjoy blogging about decorating my own house, but to see someone else consider me an expert had me in a fit of giggles (and totally flattered). I do honestly prefer just tinkering in my own home as a hobby though. I love this! You can give me a design consultation any time. You look great! And congrats on the fun Kirkland’s gig! Would love to win so I can accessorize my sad Master bedroom. I don’t know Kirkland’s! Maybe they aren’t in Northern California? I’ll have to check it out online. That looks like a pretty fun event! Not sure where you live, but there are now Kirklands in Vacaville and Folsom. That sounds like a wonderful experience. I am excited that you get to do what you love to do daily and encourage others out there to live and be creative. I have just recently discovered Kirkland’s and would love to make some purchases with this gift card! I love Kirklands! Also don’t like jumping though hoops for giveaways. so excited for you! what a complement to asked to do such an event!!! looking forward to watching you use your talents! I used to like Kirklands, but their merchandise has kinda gone downhill. I’d still find a way to spend $100, send me a gift card to help change my mind about them. Congrats on the cool opening! Maybe I will win & make the trip to Kirkland’s, I love that place! How fun! Love your blog and your design style. Would love to shop at Kirkland! How fun! It’s so cool to see how successful you have become!! SOO glad I got to do this with you! It was such a fun event! Love ya! You’re a Star! Now I can say I read your blog when you were just starting out! lol! Looks like you had a lot of fun! HOW FUN! Thanks for this chance to win something fabulous! I love shopping at Kirklands! They always have so many fun items to choose from! 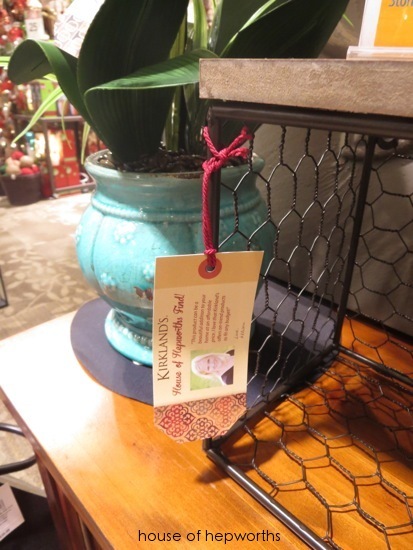 Love Kirklands and would love to win this gift card. Thanks for the giveaway! You and your sister are so beautiful. Looks like a great time. I just love my local Kirklands. Great giveaway and thanks for the opportunity. Oooh! I’d love a gift card. I can get lost in their store forever just wondering and dreaming of all the things I could do with their beautiful product! Love the chicken wire shelf! I love that mirror! That is awesome. I love Kirkland’s, glad they have one near me! I’ve never been to Kirklands, but based on your pics in this post I need to get there! I love Kirklands. It is one of my favorite stores! I wish you were in Dallas, I would have loved to meet you! Thank you for this opportunity to win the gift card! I love Kirklands! They should always do events like this locally, not just for Grand Openings. You’re a pro to us! I’ve learned from you and you’re selling yourself short! Looks like you all had a blast, makes me miss Texas! I have a Kirkands here in my town and I love the mirror & chicken wire shelf too! I hope you kept one of your pro tags from Kirklands for scrapbook or something. Love Kirkland’s!! So many fun things to decorate with!! Love your blog and I get so excited when I see a new post from you! Looks like a fabulous event! Looks like you had a fun time! I would definitely put the $100 to good use! Kinda surreal! Your famous!!! And oh I love Kirklands! That huge grey mirror behind u is calling my name! How fun! I absolutely LOVE Kirklands. I don’t go there very often because I could spend a fortune in there, and I have zero willpower. LOL! A giftcard would be awesome! Thanks for the chance to win! $100 to spend a Kirklands just before Christmas?! YES! This would be great to do a little Christmas shopping with! My parents live right down the street from that shopping center, wish I was in town to enjoy the grand opening!! How fun! I love Kirklands! I LOVE Kirkland’s! They have the best decor! Thanks for the chance to win a gift card! Love that chicken wire shelf! Would love to win the gift card. So excited for you! Great experience. I’m sure you had tons of fun. Awesome! Can’t wait to check the store out! I would love to have anyone help decorate my house…i’m not good at it, but I have found a lot of things at Kirklands I like. I am in love with that mirror! I can’t wait to see it in your house. Thanks for offering a great giveaway for us! It was a fun event, Allison! Thanks for the giveaway. I love shopping at Kirkland’s!! I LOVE Kirklands & your blog—I check the blog every morning for new postings! Thanks for offering the giveaway! Would love to do some Christmas shopping there. i love your blog, and I would love to use that $100 towards redecorating my master bedroom! Thanks, and Happy Holidays!! I could do a lot of tinkering in Kirklands with a $100. That’s a lot of holiday bling. 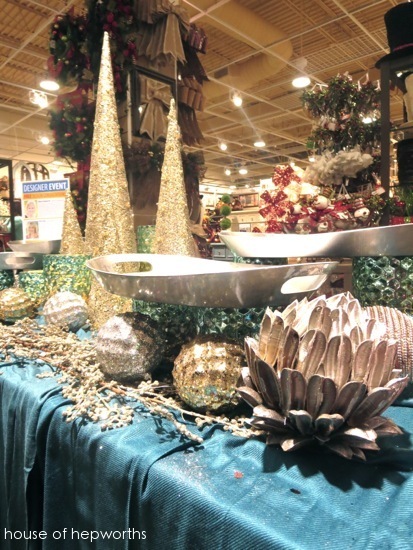 LOVE going into Kirkland’s especially for the holidays. So much to see! I SO wanted to go because I LOVE Kirklands (though I find the Wolf Ranch location to be hard to get around in my wheelchair), but my son had a high school swim meet at A&M. ALL day. We left at 6am and didn’t get home until after midnight. My friend and I ALWAYS hit up Wolf Ranch’s Kirklands on the day after Christmas — it’s OUR Black Friday because we LOVE getting the Christmas items discounted! That Target is also the BEST because no one goes first thing in the morning!!! Looks lovely! I’d love a gift card for some things for my home. Thanks! I love shopping at Kirkland’s, especially for holiday decor! Love Kirklands! Thanks for the opportunity to win a gift card! I went to a kirklands for the first time recently and loved it!! What a great opportunity you had! Too bad I don’t live in Texas!! I could do some damage with that card. love Kirkland’s! Thanks for the giveaway! love your blog! We just got a new kirklands and I’ve had to keep myself out of there until I had some spending cash lol. I can’t wait to check it out though. You might not be a professional designer, but you’re good enough that you could be! I’d love to have the opportunity to pick your brain about what to do with our new home, and of course who wouldn’t love a Kirkland’s gift card! Awesome! Glad you got this experience! I’m sure I could spend that $100!!! Absolutely love the things you post….many great ideas! Congratulations on the star treatment! You deserve it! how exciting! I really do love Kirkland’s. It’s a favorite of my mom’s as well, so I’d love to give her this! Thanks for the give-away! LOVE Kirklands! I would love to win $100 to Kirklands. Perfect timing before Christmas. I love Kirkland’s.. we don’t have a storefront nearby, but there is always online! I have a large mirror in my dining room I got from Kirkland’s years ago and still love it! You rock! I totally get you on the “real life” “blog life” idea! Thanks for the giveaway, and for making it easy! Can’t wait to get your toffee recipe! Austin gets all the cool stuff/stores 😉 What a fabulous give-away. SO nice that you are not using that inane blog-generator!! Thanks for the opportunity! I love that mirror! I would love to win this for my daughter for Christmas. I love Kirklands! You deserve the recognition , it looks like it was a fun event. Love the mirror and Kirklands! I love Kirklands! There’s a mirror on their website that I’ve been stalking forever! I love the selection at Kirklands. I love Kirkland’s! Thank you so much for the opportunity! Love Kirklands and love this giveaway!! What a fun celebration to be a part of. Thanks for the opportunity to win too! I love this! What a grand day you had and I’m sure they were lucky to have you. Win-win. I just joined your blog yesterday. Thank you for this opportunity. We have Kirkland stores here in Charlotte, NC, so fingers crossed. No one has mentioned this yet, but I love not only Kirkland’s merchandise but also the way the store smells! I’d definitely make use of this $100 gift card to buy some of their adorable movie theater-themed artwork for my basement room. I love the mirror you bought. Very cool! Sounds like so much fun! Pick me! Pick me! I’d love to do some Xmas shopping there. What a wonderful compliment to you and your sister’s talents. It is obvious by the pics that you have earned it. Thank you for sharing this with us. Looks like such a fun event!!! I adore Kirklands it is my go-to for decorating my dining and entry way table!! I absolutely adore your blog! You’re the best! 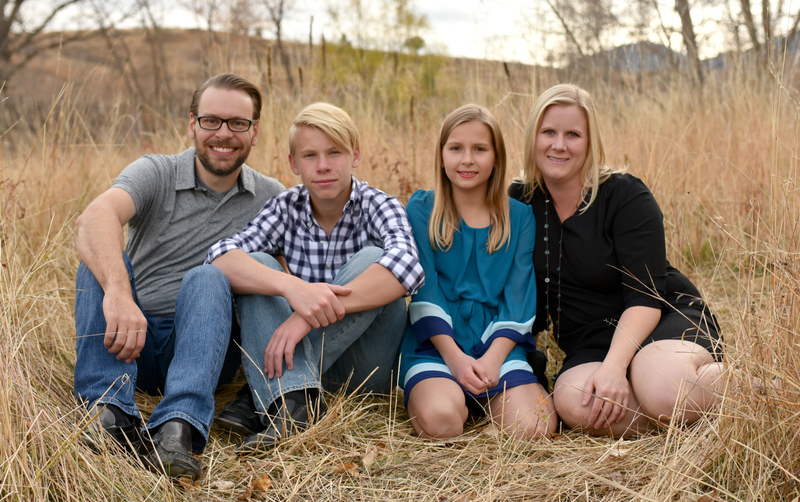 LOVE LOVE LOVE me some Kirklands – thank you for the chance to win this awesome happy!!! Enjoy your “blog land” and if I win, the card would be given away. Kirklands is my favorite store EVER!! I would definitely use the gift card for Christmas shopping for my Mama though. Great piece. Don’t be so humble, I look to see what you do for ideas all around my house! I can’t wait for your recipe later this week!! Love your tablescape and design picks!! Looked like a lot of fun was had!! and, of course, I could really use the Kirkland’s gift card for the upcoming holidays!! Oooh, I forgot about Kirklands! Looks like they are carrying lots of upscale looking items now. I’ll have to go reintroduce myself! Love the mirror you picked and love Kirklands! Our town no longer has one, but I love visiting the stores in Kansas City! Think I’m going to go browse online now! How exciting! Who doesn’t love Kirklands. They have great stuff. I love your style. And I absolutely adore Kirkland’s!! They have gorgeous decor. Adds just the right touch! This is so fun!! I love Kirklands! What a wonderful experience you both had…I imagine it was very exciting. Thank you so much for the giveaway opportunity! Would love to win the gift card! I enjoy your blog! God bless! Looked like a great event ! I didn’t know Kirkland’s still had stores in the area. Please give me an excuse to make the trek to Pflugerville! I always enjoy shopping at Kirkland’s so glad to have a new store in the Austin area. Congratulations, Allison! What a great honor and affirmation of your hard bloggy work! I love Kirklands, so sign me up! What beautiful items. You sold me on that lantern! I love Kirklands! I can always find great items there! Kirkland’s just recently opened here and I would love this gift card! Ooh, I’ve always been a fan of Kirkland’s – I ordered some very cute owl cannisters from them last year. Now I can just visit them in person! Great giveaway! Your picks are similar to what I would have chosen! Love your blog and love Kirklands. How fun! I would love to have been there. I love your blog and Kirklands! I look forward to when you post a new blog—I’ve enjoyed everything from the gluten-free school lunch snack ideas to making your own pleats in those awesome orangey drapes. I love love love Kirklands!! If you are ever looking for anything….they have it! I have one close by, so I visit every chance I get. Love your blog Lady! Love Kirkland’s. So naturally I LOVE this post!! oooh, Would LOVE to have $100 to spend at Kirkland’s. I’ve had my eye on a few things there, but never seem to find the extra money. Love, love the chicken wire shelf!! Congrats on a good merging of worlds! you look great, and yay on being asked. I was super excited when a kirklands open near me. still about 20 minutes away, but better than none at all! I’ve never heard of this store, but googled and found 4 within 100 miles of me. Will have to make a trip to check it out. Thanks for the offer! My home could use some Kirklands love! Thanks! Love Kirklands, I could spend hours (and tons of money) in there!! Thanks for doing the giveaway! Love your blog! Looks like you had too much fun. Love Kirkland’s and winning a gift certificate would be great. I would love to win the giftcard to give me the chance to make the 45 minute trek to my nearest Kirklands! I’m sure it was double the fun having your sister with you. Thanks for offering the giveaway. Would be THRILLED to win a Kirkland’s gift card! Congrats on your weekend in the spotlight! Love your blog! I truly love reading your blog! You are funny, talented and honest! Thanks for sharing with us! Look at you go, girl! Congrats! Just bought a new house! Would love to decorate from Kirkland’s! Love Kirklands! And your blog!!! This would make the best Christmas gift for my mother. She loves shopping at Kirkland’s. Thank you so much for the chance. Looks like you’re really enjoying what you’re doing. Good for you! Who WOULDN’T enjoy working with Kirklands? 🙂 Love the store & the website & would REALLY enjoy deciding where to spend that $100 gift certificate! This would be helpful in filling up my bare living room! Love Kirklands & would love to win the gift card! Thanks for the giveaway! I would love to win! Nice giveaway. Love Kirklands!! Thanks for the opportunity! Love the giveaway and love Kirkland’s too! Would love some new stuff to decorate my very empty walls! Looks like a great night! Thanks for such a great giveaway! I love Kirklands! Thank you so much! Fantastic, a store I have been planning to visit! I would love to but some things for my new house! I love Kirkland’s. I go there all the time. There is so many things to see. I would love a consultations. There is so much adorable products that I go nuts trying to figure out what matches. Thanks for the opportunity. Love Kirklands! Looking forward to shopping there next week. Alison you deserve the attention. You write a really good blog that is enjoyable to read and the DIY projects help anyone who is doing anything around their house. Congrats! It looks like you had a blast! I love Kirkland’s! It’s like a much more reasonably priced Pottery Barn but with cooler stuff! Thanks so much for sharing your good fortune with us, and Happy Thanksgiving! Looks like a fun time for all! I love the mirror you selected! Love kirklands and I love your emails and blogs! Brightens my days to read it!! Thank you for the opportunity to win, would like to do some christmas shopping…… I enjoy reading your blog. Thanks again. Thanks for the chance to win! Love Kirkland’s and HoH! I just found your blog and love your decorating style! And I love Kirkland’s!! I love Kirkland! Thanks for the chance! Kirklands is my favorite store!!! I’d love to win this giftcard to buy something nice for my mom. Thank you for the very generous giveaway! I love Kirklands. I have several pieces of wall art from their store in my home. Thanks for the chance to win! Love Kirklands! Wow – all of those things are so pretty! Would love to win this!! Congrats on getting recognized for the cool person you are! Sign me up for the gift card. I <3 that store! Very pretty stuff! would love to win this! I love Kirklands and the best thing about them is when you add unique items to your home from Kirklands, it looks like it was designed by a professional! I love Kirkland’s, it is such a fun store. Thanks for the chance. Thank you for the opportunity. 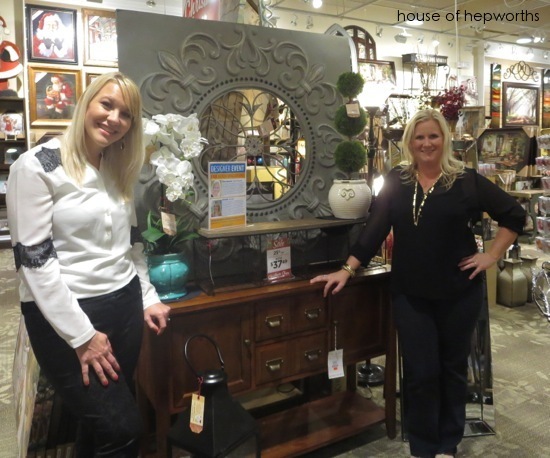 Kirkland has lots of great items! So glad they are not going out of business. They’ve closed several of our stores here in Birmingham, Al and I’ve always loved their things…especially at Christmas and all their frames. I can always find things at Kirklands for my home! Kirkland’s! Hope exciting!! Sounds like you had a lot of fun during your spotlight time! How exciting! Thanks for the opportunity. Haven’t been to Kirklands yet because my husband is afraid I will never leave and based on your pictures I believe he’s right! Would love a chance to win! So happy I stumbled across your site…it’s lovely! Love kirklands too!!! That is so awesome! Great opportunity! Kirkland’s is only available online to me, but I just took a look and have bookmarked their website. They’ve got everything I need and want. I’m determined to get more redecorating done in the coming year. What a gift this would be to get me started. PS: I looked at the Chocolate Toffee recipe and immediately Pinned it. A great holiday treat!! Thanks. what a great giveaway in time for xmas! It sound and looks like you had a blast! I just love that gray mirror and wish I had it! I need to decorate my bedroom. I could use this! Love, love, love Kirklands! They always have such nice things. What an awesome giveaway! Kirkland’s! What a great store. I would love to get some new Christmas decorations. Would love to win this to gift the card to my friends from the Army times who just bought a new house! I love Kirklands! My master bedroom lamps are from there, and I adore them. Star for a day! Pretty exciting! You are quite deserving. Kirkland’s looks great, I’ve never been to one! Not one conveniently nearby, but online is always convenient. Wish you had been to MY Kirklands! 🙂 I am so glad to have one only about 20 minutes away! Beautiful table!!! Thanks for the giveaway! I only recently discovered Kirklands and now I love that store! They have some of the cutest stuff. I don’t usually follow any blogs, and really stink at decorating, but your sister, Lindsey, introduced me to your blog and she’s always talking about the projects she’s working on at her home, too. I also just recently re-discovered Kirkland’s and window shopped last Saturday. I saw so many things that I could spend the gift card on!! Thanks for sharing your knowledge and experience for us decorating newbies! I’ve never been to Kirklands, but now I want to go! There’s a Kirkland’s in my town! I have never heard of this store! I moved to Texas (DFW) earlier this year, from Nebraska (after a year in Missouri) and I love that there are so many stores I don’t know about! I need this! I’m so in need of some new holiday goodies and Kirkland’s has some adorable decorations! I would be so excited to win!!!! It would be awesome!!!! Decor from Kirklands would be a great start to my living room redo!